One of the most talked about World Cups in the history of the sport was played in 1996. That edition was often part of the headlines, due to a variety of reasons. Quite a few incidents happened in this World Cup which transcended the imagination of the cricket fans and experts alike. There were results announced without matches being played, while there were spectators who stopped the match proceedings. 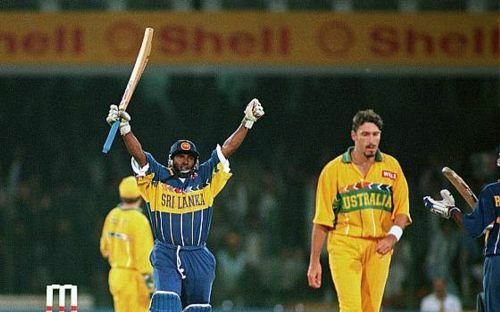 After all of this, it was the Sri Lankan team which lifted the World Cup on 17th March 1996 - exactly 23 years ago today. However, Sri Lanka should also give some credit to the teams that helped them book their place in the final. 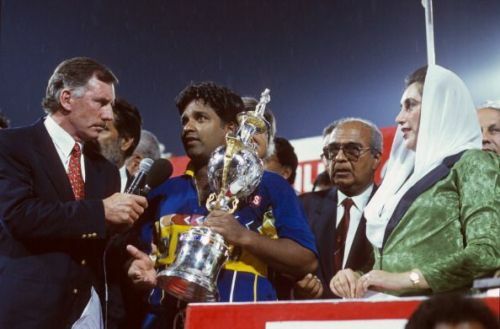 The 1996 World Cup was, in fact, hosted by 3 countries - India, Sri Lanka and Pakistan, and 12 teams participated in the mega event. 3 of these 12 teams were making their first appearance on the World Cup stage - UAE, Netherlands and Kenya. The teams were divided into 2 groups comprising of 6 each. While the initial matches happened without any interruption, the real controversy began when it was Sri Lanka's turn to host the matches. As per the schedule, Australia and West Indies were supposed to play their group matches against Sri Lanka on Sri Lankan soil. However, both these teams refused to go to Sri Lanka. Notably, a few days prior to the World Cup, Tamil protestors had killed 90 people in Sri Lanka. This meant that the environment in the country wasn't the most peaceful, as the government was fighting its own battle. Keeping in mind the security concerns, both Australia and West Indies refused to go to the island country for their group matches against the hosts. This worked in Sri Lanka's favour as the ICC decided to declare them winners of both the games despite not a single ball being bowled. Sri Lanka topped the group stage as a result. After topping the group stages, another game made Sri Lanka's job easy. The semi-final between India and Sri Lanka was being played at the Eden Gardens, Kolkata. As soon as it started seeming improbable for India to win, the Indian fans at the stadium lost their cool. 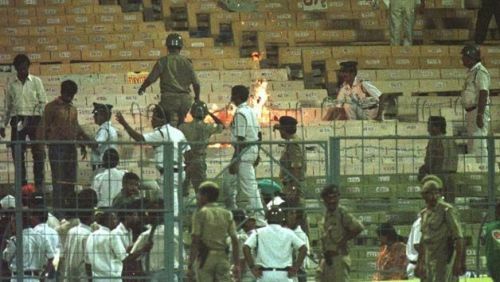 Bottles were thrown at the players, and the unruly behaviour reached its peak when the angry crowd set the stadium on fire. The match was stopped immediately and the match referee declared Sri Lanka as the winners. This meant Sri Lanka were now in the finals. The Sri Lankans were up against Australia in the finals. Batting first, the team from Oz put together a score of 241 runs for the loss of 7 wickets. In response, Sri Lanka got there with only 3 wickets down, to clinch their only title till date. The hero of the day was Aravinda de Silva, who not only scored a match-winning hundred but also picked up 3 wickets in the first innings. It's been 23 years since that tumultuous tournament, and the fans would be hoping that the World Cup 2019 progresses in much calmer fashion.